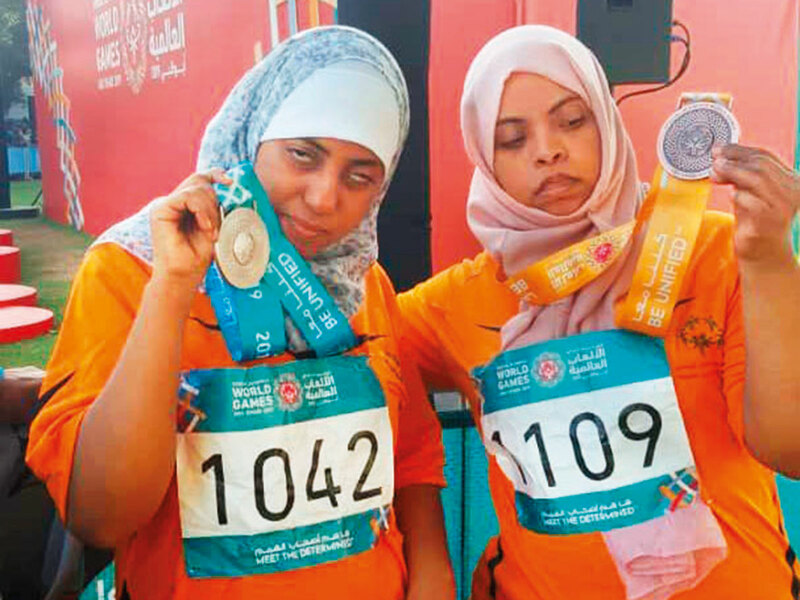 Abu Dhabi: Four athletes from Yemen at the Special Olympics in Abu Dhabi this week are perhaps more determined than the rest of the 7,500 in attendance, as they have not only had to overcome an impairment but also unrest in their home country to get here. Mohsen Qasem Saleh Mohammad, 29, Aidaros Mohammad, 36, and two female athletes Ekram Sallam Maqbel Noman, 35, and Nemah Khalid Ahmad Omar, 26, were winners even before reaching the UAE when they had to traverse through a war zone to reach Sana’a from where they travelled to Abu Dhabi via Cairo. To add to this, three of the four — who are all track and field athletes — also bagged a medal. 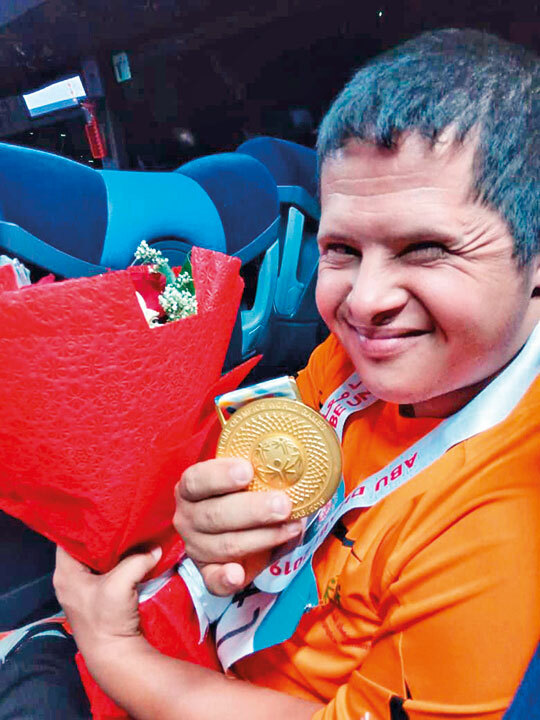 Saleh Mohammed won gold in the 100-metre NN while Nemah Khalid and Ekram Sallam also claimed silver and bronze respectively in the 100-metre NN category. That’s a 75 per cent record when it comes to competing against 7,500 athletes from 200 countries. But the Yemeni team is not here for any of those statistics, their sole challenge is what awaits them next, as an uncertain future awaits them, according to their head of delegation Abdul Sattar Ali Mohammad Al Hamdani. “Since our country is torn by war, just four athletes, all from track and field, could muster the courage to walk their way through the war zone,” he said. “We have 200 registered kids but none of the families were ready to take the risk of sending these athletes [to Sana from their homes]. I paid from my own pockets to get them here. “It took us three days to pick these four up from various parts of Yemen — Hadiyad, Adan and Lahar. All these places are in danger zones. There are thugs, gangs and various militia groups roaming these areas,” added Al Hamdani, who also said they found it difficult in Egypt. “There was an eight-hour stopover [in Cairo], but because we were Yemenis, they didn’t want us to go out. “Imagine sitting with these special athletes at the airport after all that travel. Our return journey will also be the same,” he said. All the athletes were lost for words, but the pride with which they donned their medals spoke a thousand words. “I will say it is a victory of determination,” said Al Hamdani. “Our resilience is a strong message to the world that peace is what we long for. We only had one week of training before we got here, and do you know where? On the roads of Sana’a, as our stadiums are destroyed by bombs. From here we return back down that same road of uncertainty,” he added.